Polk County jail includes two main complexes, Central County Jail and South County Jail. The county’s average daily population of detainees is 2,346 (Which is 0.62% of the state’s average daily inmate population). Rate of incarceration is 3.49% (2014 statistics). Polk County jail. Image by fredtruck. To find a detainee in the county’s correctional facilities, we suggest first of all conducting an inmate lookup using the jail information page on the sheriff’s website. It contains three available search options based on the arrestee’s name, booking date or alias. The information that will be shown to you will include details, such as the detainee’s name, booking number, physical description, age, booking date, date of release, criminal mugshot and offenses for which he was arrested. Some of the files go back to the 1990s. It is also possible to trace Polk County arrest records by contacting the specific jail where you believe the person you are searching has been held. For more details on these facilities, read the lines below. The Florida Department of Corrections offers two useful electronic inquiry tools you should utilize to find jail records. The first tool is, in fact, an inmate locator that displays names of people currently held in one of the state’s prison and jails. You can limit your search to Polk County jail or you may choose to relate to the entire state. Results include the arrestee’s personal details, physical description and mugshot. More importantly, his sentence history is fully presented, i.e. offense date, offense type, sentence date and length and case number. The second tool concentrates on former inmates who have already been released. Lastly, we strongly advise not to overlook Polk county court records in your inquiry. They are crucial for carrying out a background check, as they reveal a person’s history of convictions. To obtain these official files, you should contact the clerk of courts. Their phone number is 863-534-4000. They are located at 255 N. Broadway Ave. Bartow, FL 33830. You might need to file a formal request to view public records. This detention facility was built in 1985 and expanded in 1988. It can contain up to 800 detainees. The inmate population consists of adult males and females, pre-adjudicated and direct filed juveniles. The jail offers a variety of educational and rehabilitation programs meant to decrease recidivism rates. Physical location: 2390 Bob Phillips Rd. Bartow, FL 33830. Phone no. 863-534-6123. 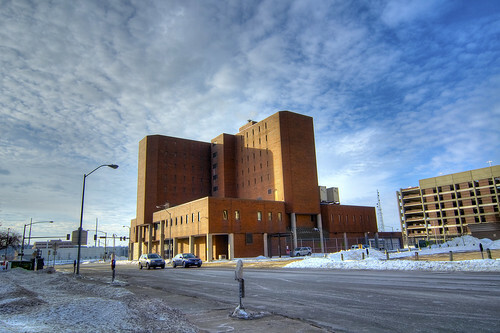 South County Jail was opened in 2000. Initially it was meant to house up to 1,000 detainees but was expanded 10 years later to enable it to house 1,776 detainees that consist of males only. Some of them are inmate workers. The jail also provides educational programs to prepare inmate for a normative life-style upon release. Physical location: 1103 US Hwy 98 West, Frostproof, FL 33843. Phone no. 863-635-6920.